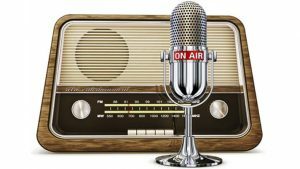 Commercial has reported its highest ever audience of 36 million listeners (35.97 million) according to new figures for Q1 2018 published by RAJAR, the body responsible for measuring radio audiences in the UK. This total audience represents a 4.2% increase on the same period last year and commercial radio’s biggest ever lead over BBC radio, with 960,000 more listeners overall. The record listening figures are evidence of continued strong performance by the commercial radio sector, which has also kicked off 2018 with its highest ever revenues for Q1 at £179.3m – an increase of 12.5% year-on-year. The impressive growth can be put down to 19 of the top 20 radio advertisers increasing their spend on the medium year-on-year, representing an additional £18.1m in revenue this quarter. Sky remains radio’s biggest spender, increasing its spend in Q1 by a huge 190% compared to Q1 2017. The brand continues to strengthen its commitment to radio by growing the proportion of media budget allocated to radio by 200% this quarter. This quarter saw strong double digit percentage growth across national spot airtime and sponsorship & promotions as well as digital revenues. The Finance, Entertainment & Leisure and Telecoms categories experienced the biggest growth over the last quarter, contributing an additional £16.7m of radio ad revenue compared to Q1 2017, thanks to campaigns from Natwest, NowTV, Plusnet, McDonald’s and Vodafone.